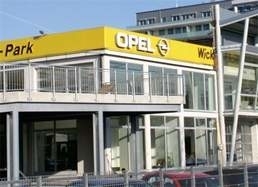 Opel's future owner is still uncertain. TURIN -- Fiat CEO Sergio Marchionne on Friday reiterated the carmaker's interest in taking over Opel. "The interest is still there, it doesn't depend on us," he told reporters on the sidelines of an event in Turin. Last Saturday, General Motors and the German government chose Magna International as the preferred bidder for GM's Opel/Vauxhall unit. Germany has stressed that other bidders, including Fiat and China's Beijing Automotive Industry Corp (BAIC), which makes Mercedes-Benz cars in a joint venture with Daimler, still would have a shot if they improved their bids. Marchionne said the deal with Magna for Opel technically is not closed. "We will see, " he said. "Our Friday (May 29) statement was absolutely clear: we remain interested," Marchionne added. In the statement, Fiat withdrew from the bidding process for Opel but said it remained open to continue discussions with all parties involved "to find a stable and lasting solution for the industrial activities of Opel." Fiat had seen Opel as key to its goal of reaching output of at least 5.5 million vehicles a year, putting it among the front ranks of world automakers. A Fiat spokesman said on Wednesday that the company's focus was turning around ailing U.S. carmaker Chrysler. A U.S. bankruptcy court judge approved Fiat's purchase of most Chrysler assets this week. Italian Prime Minister Silvio Berlusconi has said his government would be willing to intervene with Germany to support another Fiat bid for Opel if the automaker wanted. Magna has signed a memorandum of understanding with GM to take over Opel in cooperation with the Russian bank Sberbank. Magna will have a 20 percent stake in the German carmaker while Sberbank will take 35 percent. GM will keep 35 percent and 10 percent would go to GM Europe's 55,00 employees. A German official told Reuters that representatives from BAIC met members of the government on Tuesday and made clear they would "seriously consider" a more detailed bid if talks with Magna failed. The German government has an interest in keeping up the pressure on Magna until a deal is closed that fully satisfies the government's demands. Berlin has agreed to provide 1.5 billion euros ($2.14 billion) in bridge financing to Opel to shield the company from parent General Motors's Chapter 11 bankruptcy filing. GM Europe President and Opel chairman Carl-Peter Forster has said that the bridging finance will last until talks to seal a deal with Magna are completed. On his corporate blog, Forster wrote on Thursday: "We expect that a definitive agreement will be reached by July and that we should be able to close the deal by September." Forster also wrote: "While we're all fully committed to getting this deal done, much work remains and much could happen along the way. If we succeed, I'm very confident that the New Opel/Vauxhall will have an excellent base to grow its future business."